What happens when you layer peach, ivory, brown and shades of taupe on your lids, and then smudge it all out? This new multi-dimensional smokey eye with a hint of shimmer and a soft sheen. Donned on beautiful New Zealand model and actor Dominique Bela in this exclusive Sauce shoot using YSL’s eye shadow palette. The easy-to-replicate smokey eye look (using YSL’s classic palette Saharienne) was created by make-up artist Jemima Kean and photographed by Clara Pafundi in this exclusive story for Sauce, and it was styled and produced by editor Zeenat Wilkinson. 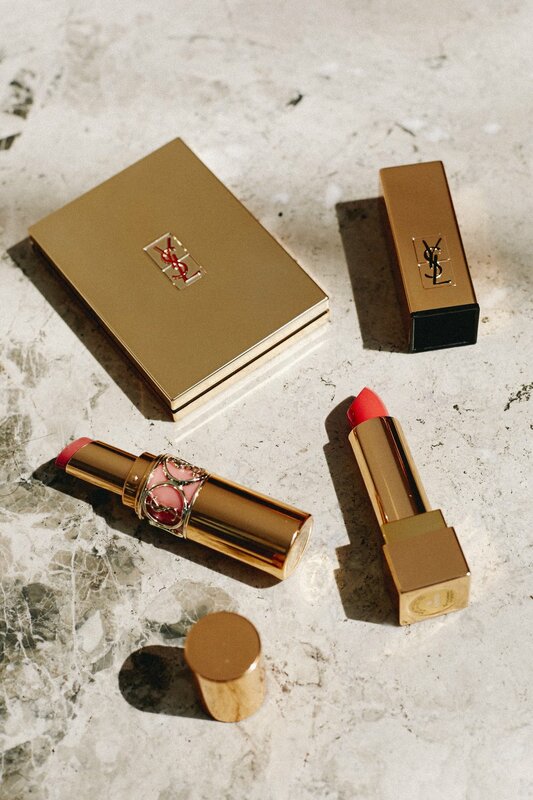 Note : Pour some whisky, play this tune, and cosset those lids in all things glided with YSL. And don't forget to press play below! YOU MIGHT ALSO ENJOY THIS HOW-TO (MICHELLE OBAMA-INSPIRED) SIDE SWEPT HAIR LOOK.